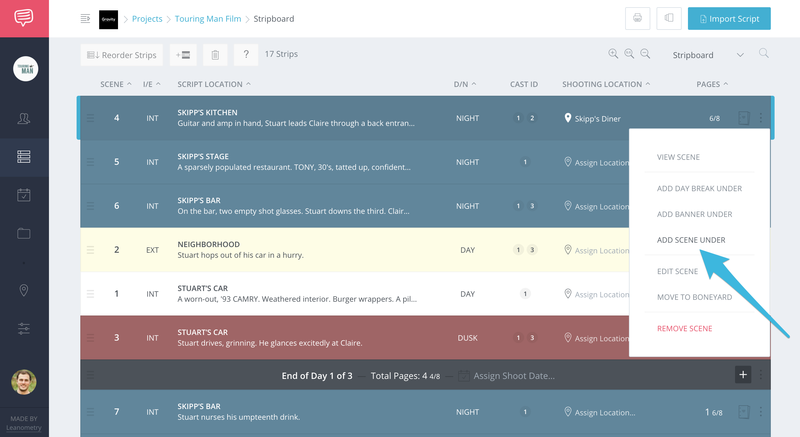 Are you looking to add scenes manually to your shooting schedule? On your Stripboard page, click the more icon (or select a strip and click Command + S on your keyboard). In the drop-down, click Add Scene Under. 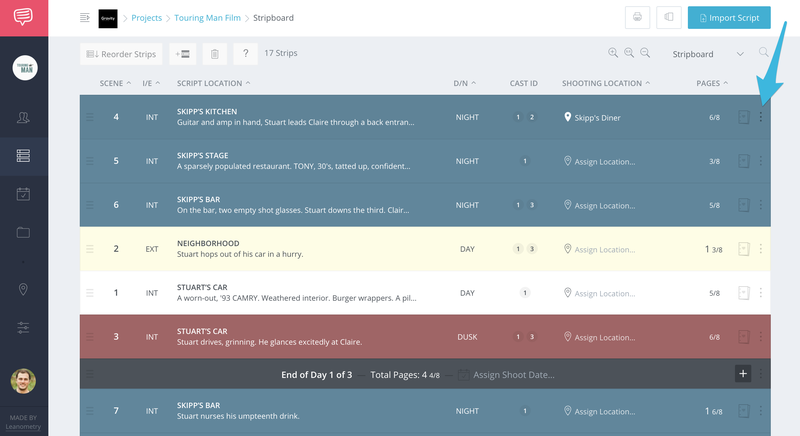 In the overlap, enter the necessary scene information, then click Create to add a new scene to your shooting schedule. 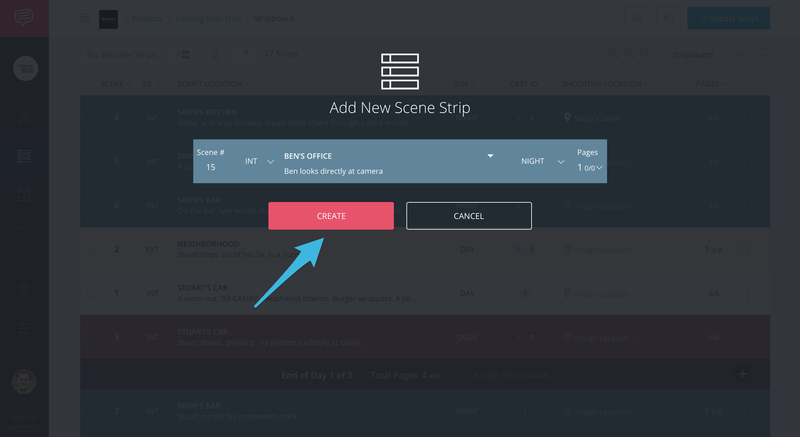 You can also write your script in the scene details pop-up.